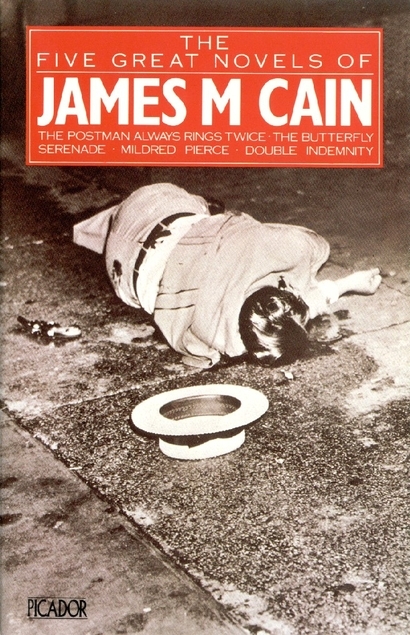 On a recent mini-binge of James M. Cain novels, I finished a 5-in-1 set from Picador: two I’d read years ago – The Postman Always Rings Twice, Double Indemnity – and three others I soon raced through: Serenade, Mildred Pierce, and The Butterfly. The politics of English usage can show up anywhere. 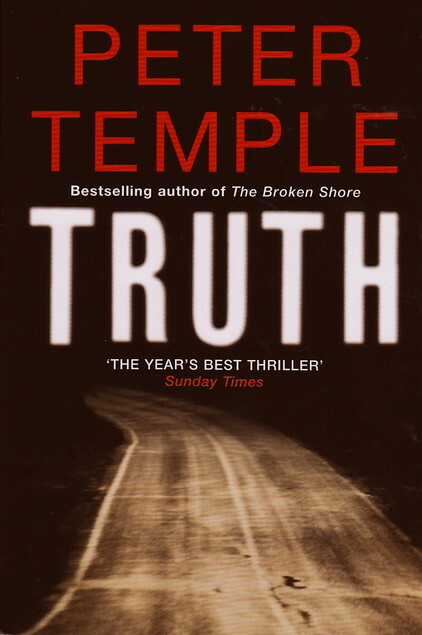 I was reading Michael Connelly’s 2010 crime novel The Reversal – gradually working my way through his back catalogue – when I found it depicting the spread of prescriptivism. He checked his watch. It was time to go. I’m slowly catching up on the back catalogue of George Pelecanos, who has written about 20 crime fiction novels (and also wrote for The Wire). Recently I read Hell to Pay (2002), which contains several items of linguistic or metalinguistic interest. The book is one of a handful by Pelecanos that centre on private detectives Derek Strange and Terry Quinn, the first black, the second white, the two ex-cops. She sat down without invitation. He handed her the cigarette. Quinn took in the girl’s words, the rhythms, the dropping of the g’s, the slang. Like that of most white girls selling it on the street, her speech was an affectation, a strange in-and-out blend of Southern cracker and city black girl. After reading Gone Girl by Gillian Flynn I blogged briefly about its references to grammar; this post does likewise for her previous book, Dark Places (2009) – though the items concern spelling and punctuation more than grammar this time. Slight spoilers follow. used to hand me bulging shoe boxes full of mail, most of them letter with checks inside. I’d sign the check over to him, and then the donor would receive a form letter in my blocky handwriting. “Thank you for your donation. It is people like you who let me look forward to a brighter future. Your truly, Libby Day.” It really did say “your” truly, a misspelling that Jim Jeffreys thought people would find poignant. 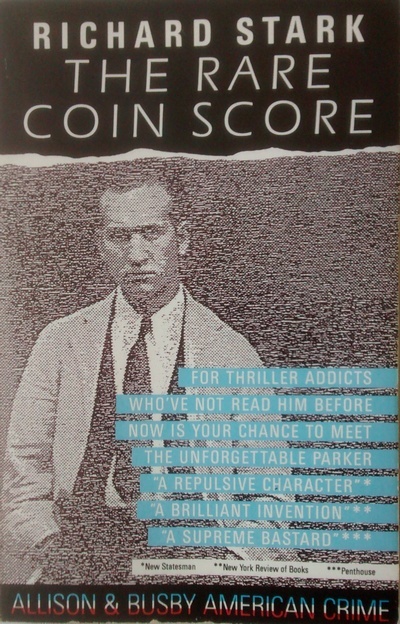 I picked up this Richard Stark novel in a local second-hand bookstore and was attracted by the reviewers’ descriptions of its main character (click the photo to enlarge). Funny how repulsive can have a contra-semantic effect. The ‘unforgettable Parker’, it turned out, is the same one played by Lee Marvin in John Boorman’s 1967 film Point Blank. Sold! In the April sunshine four fat men sit at a chess table in the park across the street from the university. All four of the men are wearing dark cardigan sweaters. Two of the men are playing chess, and two of them are kibitzing, but the game has been going on for so many Sundays now that it seems almost as though they are playing four-handed, the players and the kibitzers indistinguishable one from the other. Australian English has a famous tendency to abbreviate words, doing so frequently and in a variety of ways. Clipping comes first, then the stump may be suffixed with an –er, –o, -s, -ie or –y, etc. This can and does occur in any form of English, but Australians seem to have taken diminutives furthest: it’s an unmistakable feature of the dialect.